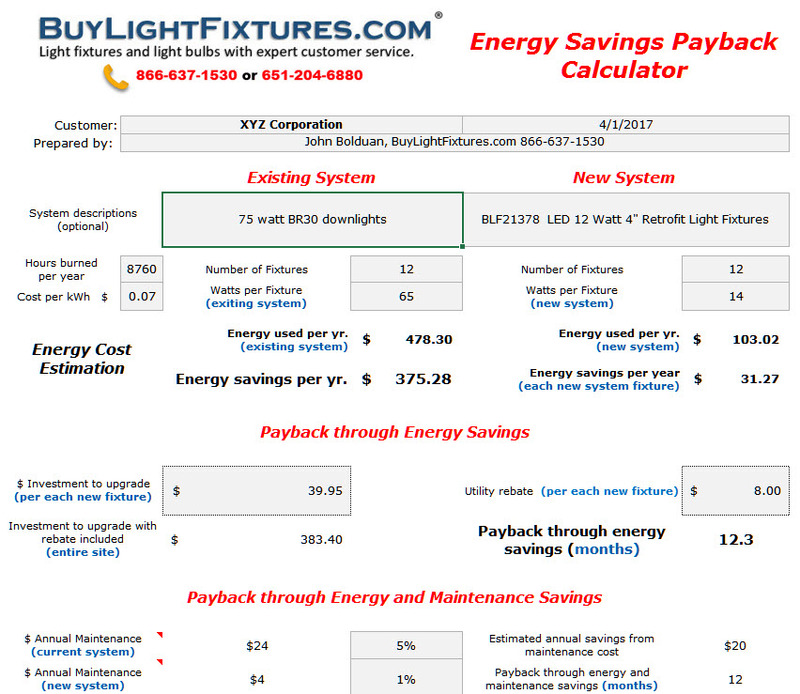 This is a simple lighting payback calculator that we have made available in an Excel spreadsheet format. You can download it from this link and use it to calculate the amount of savings that you'll have electrically by making a lighting upgrade. It will also approximate payback time when you would break even on the investment in new lighting. The correct calculation of savings depends on the accuracy of the information that you put into it. This is a basic calculation but it should give you an idea of the savings you could enjoy for most types of lighting upgrades.